G/FORE is renowned for its luxury and innovative products, and the brand has moved into a fresh area by unveiling the MG4.1, a new athletic styled golf shoe to deliver style and performance for on and off the golf course. Retailing at £149/ €208, the MG4.1 collection encompasses five different fashion-driven colourways including Onyx, Snow, Poseidon, Birch and Pewter. For those looking to get ahead of the game, there will be limited volume of early release MG4.1’s available to purchase only at www.gfore.co.uk from April 15th. The full-line will be available on the UK website, as well as selected G/FORE international retailers, from June 1st. Designed by G/FORE founder and creative visionary, Mossimo Giannulli, the MG4.1 embodies the G/FORE philosophy of letting golfers express themselves whilst playing, as well as injecting more fun and flair back into the game. 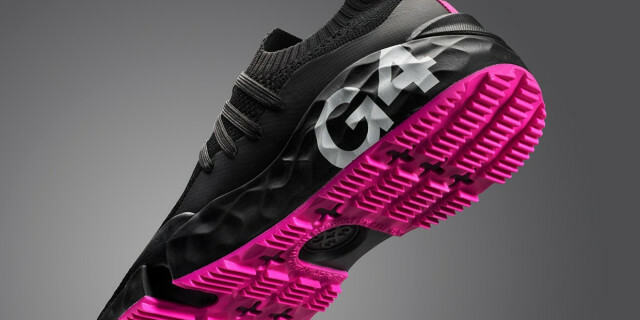 By fusing the latest athletic shoe trends together with luxury engineering, G/FORE have, in MG4.1, crafted a shoe that is like nothing else in golf. Fitting perfectly into the brand’s footwear range, it now provides G/FORE loyalists with modern interpretations of classic, street and even athletic footwear styles. 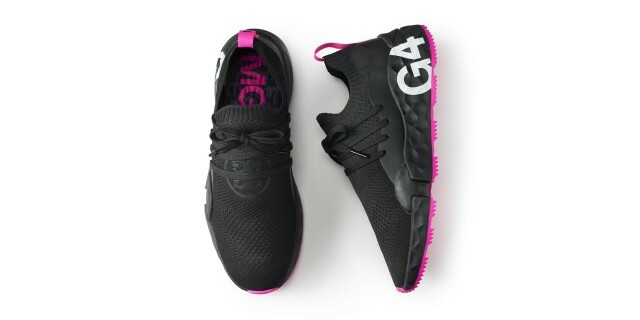 “MG4.1 is years in the making and demonstrates our passion for pushing the boundaries of footwear styling, technology and functionality for both on and off-course use,” commented Giannulli. MG4.1 features a one-piece engineered knit upper that hugs the foot and provides lightweight and breathable comfort from heel to toe. Seamless internal and external overlays provide added lateral support and an integrated heel tab and 4-way stretch collar ensure easy slip-in comfort. An auxetic lattice midsole, complete with new FOREFOAM™, offers additional lightweight comfort, targeted flexibility and maximum energy return with every step, whilst the additional triple density footbed is designed to provide maximum comfort under foot for long days on and off the course. On the outsole, designers have used a new full rubber SAW TOOTH traction pattern which has been anatomically designed to provide supreme flexibility, stability and grip. Two styles will feature prominent G4 branding on the outsole and the other three will have more subtle branding on just the upper of the shoe. A limited selection of MG4.1 will be available to purchase on www.gfore.co.uk from April 15th, so make sure you set a reminder to get your hands on the latest footwear innovation from G/FORE. For more information on G/FORE and to shop the new Spring Summer 2019 footwear visit www.gfore.co.uk.